6 The Brothers Karamazov (Unabridged): At last Miusov felt completely humiliated and disgraced. 9 The Brothers Karamazov (Unabridged): Alyosha made up his mind to wait. 1 The Brothers Karamazov (Unabridged): Smerdyakov ran for water. 7 The Brothers Karamazov (Unabridged): Madame Khokhalkova hastened away. 1 The Brothers Karamazov (Unabridged): At last he found the house in Lake Street. 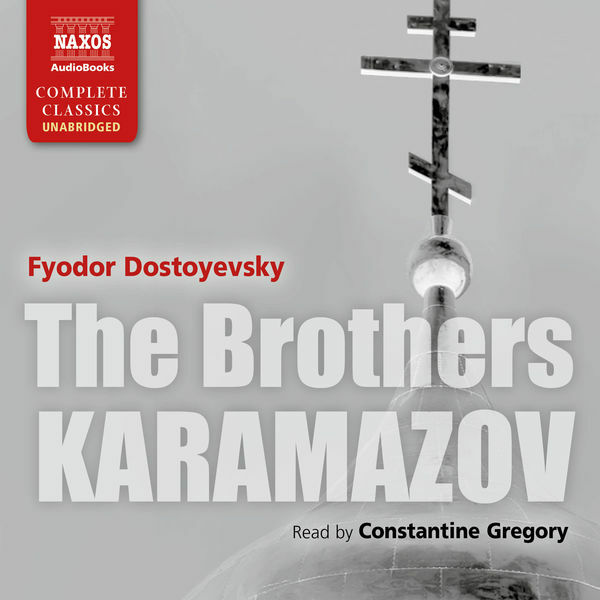 10 The Brothers Karamazov (Unabridged): The voice ceased. 4 The Brothers Karamazov (Unabridged): 'Perhaps so,' smiled Alyosha. 8 The Brothers Karamazov (Unabridged): Ivan for a minute was silent. 6 The Brothers Karamazov (Unabridged): Mother shook her head as she listened. 7 The Brothers Karamazov (Unabridged): (b) Of the Holy Scriptures in the Life of Father Zosima. 11 The Brothers Karamazov (Unabridged): I went to bed, and slept for about three hours. 13 The Brothers Karamazov (Unabridged): (d) The Mysterious Visitor. 1 The Brothers Karamazov (Unabridged): He looked at me and smiled. 8 The Brothers Karamazov (Unabridged): (g) Of Prayer, of Love, and of Contact with Other Worlds. 9 The Brothers Karamazov (Unabridged): (h) Can a Man judge his Fellow Creatures? Faith to the End. 10 The Brothers Karamazov (Unabridged): (i) Of Hell and Hell Fire, a Mystic Reflection. 2 The Brothers Karamazov (Unabridged): Meanwhile the time was passing. 5 The Brothers Karamazov (Unabridged): The incident he referred to was this. 9 The Brothers Karamazov (Unabridged): The appearance of Rakitin and Alyosha caused a slight excitement. 10 The Brothers Karamazov (Unabridged): 'You've talked nonsense enough,' cried Rakitin. 3 The Brothers Karamazov (Unabridged): Rakitin got up. 9 The Brothers Karamazov (Unabridged): Above all, he wanted this concluded that very day. 11 The Brothers Karamazov (Unabridged): 'No, you'd better wait a little,' the priest pronounced at last. 7 The Brothers Karamazov (Unabridged): Mitya looked at him from the side without stirring. 8 The Brothers Karamazov (Unabridged): 'Listen, listen!' cried Kalganov, bubbling over. 1 The Brothers Karamazov (Unabridged): 'We will continue,' interposed Nikolay Parfenovitch. 5 The Brothers Karamazov (Unabridged): The prosecutor swallowed this without a murmur. 1 The Brothers Karamazov (Unabridged): 'This is almost miraculous,' murmured Nikolay Parfenovitch. 2 The Brothers Karamazov (Unabridged): Both the lawyers laughed aloud. 6 The Brothers Karamazov (Unabridged): Ippolit Kirillovitch was very well satisfied with this piece of evidence.